As with the best flight booking sites, there’s no shortage of resources available when you need to book a cheap hotel room. From metasearch engines that will send you to a company site, to bookable OTAs (online travel agencies), to individual hotel websites, the options for the best hotel booking sites can be overwhelming. But deciding which ones to compare depends largely on how often they have the best price, and how you like to view and filter results to your needs. For most travel planning, the best overall strategy is to compare prices from multiple sources including the hotel’s own website, as they’ll sometimes offer deals they don’t share with third-party sites, or offer the same rates as third-party sites minus pesky booking fees. Hotels sites will also offer package deals—bundled amenity inclusions and the like—that aren’t shared with third-party sites. Bottom line: Whether you search with a site from this list or a preferred site of your own, check the hotel website as well. No list of hotel booking sites is completely exhaustive, but these 10 are a combination of great crowd favorites mixed with some newer, similarly performing options you might not know about. All of them fared well in my tests: Prices for the same dates and destinations were fairly consistent from site to site, but the volatility of results may vary based on your destination, how far in advance you’re looking, or the time of year you visit (i.e. high season vs. low). With that in mind, here are the best hotel booking sites to compare prices with for your next trip, plus the best defining feature of each. If I missed one you think should be included, tell me about it in the comments. As keeping your options open goes, Booking.com returns the most eclectic search results by far, with a healthy mix of hotels, apartments, and even hostels. But whether this is a good or bad thing is entirely dependent on your preferences. If you’re not a fan of hostels, for example, results like this mean you immediately have to filter them out, creating an extra step that other hotel booking sites don’t require. That said, there’s something for everyone here. Booking.com displays the total cost up front (minus taxes) which, like HotelsCombined, creates an extra step when comparing rates. But seeing that total cost up front helps you quickly determine which hotels fit into your budget. Best feature: The variety of property types and blended search results. This is a good site for a wide range of budgets. Like its flight search, KAYAK hotel search offers a clean, easy-to-use interface with lots of filters and shows other hotel booking sites’ rates so you can compare in one place. But the first hotel price result is often higher than better rates further down the list. The results are sorted automatically by the vague factor of what’s “Recommended,” which is true of many hotel booking sites. I saw several examples of higher rates populating first while I scrolled results, and sometimes that lead price was much higher than other comparable options. It’s hard to see how this is useful at all if the point of a metasearch is to help you find the best price. The site’s minimal look does have a downside, however, as the option to sort by price is a hard-to-find, gray drop-down menu atop the list. Kayak presents a strong options and price comparisons, so long as you’re willing to scrutinize or sort by prices. Best feature: Clean, easy-to-use interface. Priceline has one of the more visually appealing design layouts of the sites I examined, and it was among the easiest to navigate. None of these booking sites is dramatically different from the others in rates or price comparison, so the usability of a site can go a long way toward improving the experience. Unsurprisingly, Priceline’s prices were on par with the other OTAs I tested, and the results were largely focused on the downtown and tourist-friendly areas. The big draw of Priceline has always been its Name Your Own Price and Express Deal options: The former allows you to submit a final price you’re willing to pay, which a hotel can then accept from you (with a nonrefundable booking); the latter is a flash deal that hides the name of the hotel until after you book. While somewhat gimmicky, these options can offer significant savings for travelers willing to go that route. Best feature: The Name Your Own Price and Express Deal features are major differentiators, and a big plus if you’re looking for a steal and open to not knowing exactly which property you’re booking. 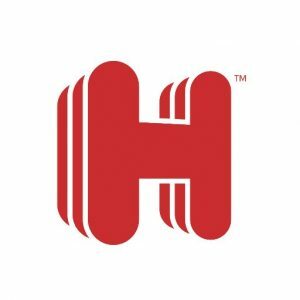 Hotels.com has tons of filters for travelers who want to narrow down their search, and the initial results showed a healthy balance of lower- and upper-end hotels, mostly located in or around the city centers I searched for. That’s what most travelers want: a robust, easily refined list of well-located options. Prices were on par with other OTAs. On the downside, the search results also included a lot of grayed-out hotels that are “fully booked,” which serves no purpose for the customer aside from generating urgency that screams: “Look! Some hotels are already sold out! Better hurry!” Like many OTAs these days, Hotels.com includes a lot of non-hotel properties too, including condo hotels, guesthouses, and bed and breakfasts. Best feature: There are more filters than most travelers could ever use, but it’s nice to have those options. HotelsCombined is a metasearch tool that searches a wide range of booking sites, including OTAs and the hotel’s own site. The results will include multiple options from the same source, allowing you to compare different room types (for example “queen bed” vs. “room chosen at check-in”). You can also toggle between prices including or excluding taxes. HotelsCombined included a lot of airport hotels in the top results, and defaulted to the total price for your entire trip, instead of the more common nightly rate. Neither of these are problems in and of themselves, but it does complicate the comparison process when most other sites display the nightly rate. Best feature: The sheer volume of results makes this a good place to start your search, but be sure to scrutinize the prices and options when you land on the actual booking site to make sure they match. Short of the color scheme and fonts, you’d be hard pressed to find much difference between these three legacy booking sites. 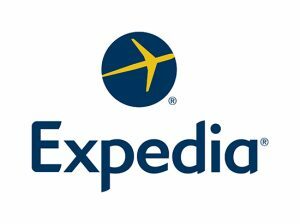 Expedia, Travelocity, and Orbitz are all owned by Expedia Inc., and all three use the exact same layout, with a few minor tweaks. Interestingly, the search results vary slightly. The top result for each test search was the same across all three sites, but the order of the list below it varied for each. Prices, of course, were the same since they’re all powered by Expedia. These perfectly fine OTAs are not all that different from Hotels.com: with plenty of options, prices that are usually good but not always the best (as with any hotel booking site), and useful search filters. That might be faint praise, but there’s something to be said for being consistent, right? Also keep an eye on their deals and limited-time offers, which is when any of the three are more likely to substantially beat the competition. Best feature: Dependability. These are the Honda Accords of the travel booking world. You’ll find what you need, at what is likely the best price, and with minimal hassle. Just be sure to compare prices to a hotel booking site outside the Expedia family. 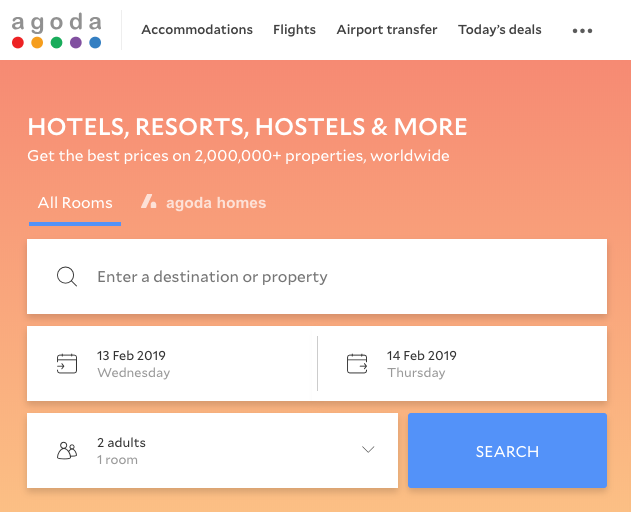 Agoda began as a hotel booking site with a focus on Asia, and that focus remains apparent on the home page, where properties in Malaysia, Thailand, and other destinations in that region receive prominent real estate. But Agoda has come to the U.S. and delivers an experience to match some of the better sites on this list. There were even a few instances in my search where Agoda had lower prices than the competition, including one where the total booking was over $200 less than the same hotel on Priceline (with a coupon code). Don’t expect that sort of result every time, but it shows that Agoda, like all the rest of these sites, is well worth checking. Best feature: A good selection of well-located hotels with some surprising deals. Like HotelsCombined, TripAdvisor (SmarterTravel’s parent company) hotel search is a metasearch tool that displays prices from a range of sites. The tool is built right into TripAdvisor’s general search function, allowing you to browse the site’s vast library of reviews and then begin your booking seamlessly. The initial list of results for a destination displays the lowest price and shows the source of that price, so you know where (off TripAdvisor) your booking is going to happen. TripAdvisor searches most of the major OTAs as well as some lesser-known ones, and when applicable it even includes the hotel’s own site. You can also book with TripAdvisor, though its rates are provided by Booking.com. TripAdvisor doesn’t surface results from Agoda, meaning it missed the deal mentioned above: further proof that there is no perfect tool, and results can depend on your destination and the site’s partners. Best feature: The ability to simultaneously research hotel reviews and compare prices from several booking sites. Another metasearch hotel booking site, Trivago did surface that low price coupon found on Agoda. However, it did not lead with that price, choosing instead to prominently display a higher price from Booking.com in large, green text. Odd. The lower Agoda price was second, displayed in small, gray text along with several others, albeit still shown on the initial results page. 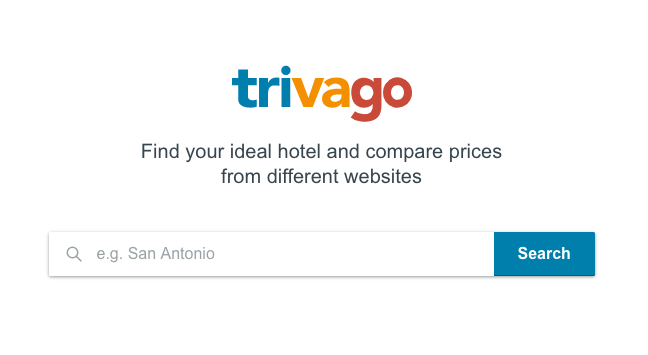 In fact, Trivago found multiple prices lower than that Booking.com price, but none received top billing. This happened in several other cases too, where the lead price was higher than some of the other prices found. The good thing about Trivago is that it searches several lesser-known sites, including Agoda, in addition to the usual suspects like Expedia, Priceline, and Booking.com. But customers should take a close look at the results to make sure Trivago isn’t hiding a better deal. Best feature: The mix of sites searched is strong, including sites travelers may not know about. Google’s hotel search tool is done by simply searching “hotels in (insert city here)” on Google.com. It’s integrated into Google Maps, making it very different from any of the other sites listed here. Hotel locations are marked by prices on a map, rather than name or any other identifying characteristic. From there, Google’s tool is a fairly price-forward metasearch, which is what metasearch should be. Clicking a price displays the hotel’s name, features, and booking options. 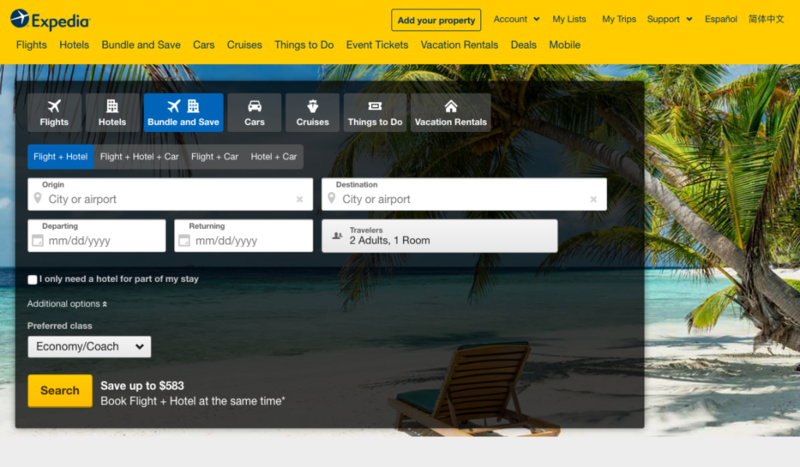 Overall, Google offers a powerful, no-frills option for travelers who don’t want all the hard-sell aspects of OTAs and more commercial metasearch tools. And it too surfaces that low with-coupon price from Agoda. Best feature: Location is important when choosing a hotel, and Google Maps integration—with satellite and street view—allows you to easily factor that into your search. Editor’s note: This story was originally published in 2016. It was updated in 2019 to reflect the most current information.